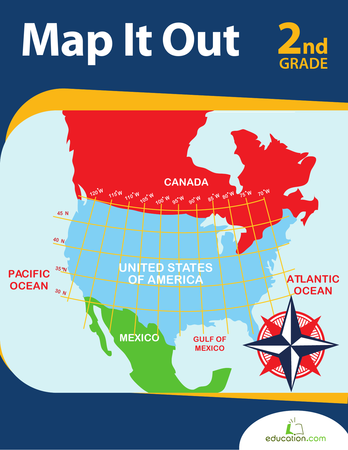 Does your child love maps? This worksheet will challenge him to use a map to learn about distance. He will need to utilize the distance key to follow the clues and draw the route on the map. Where do the directions lead? 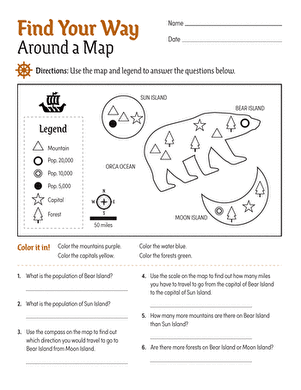 To complete this exercise your child will need to follow navigational directions and practice scale on a map. 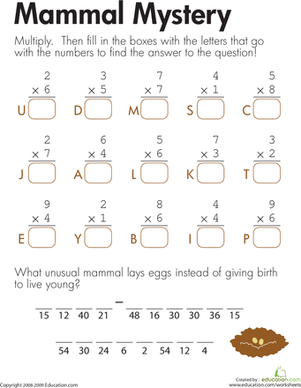 Kids solve multiplication problems to crack the code and find the egg-laying mystery mammal on this second grade math worksheet.